The Transmission Archive is a unique resource giving access to a treasure trove of materials relating to the gallery’s unique history and an extremely vibrant Art Scene. 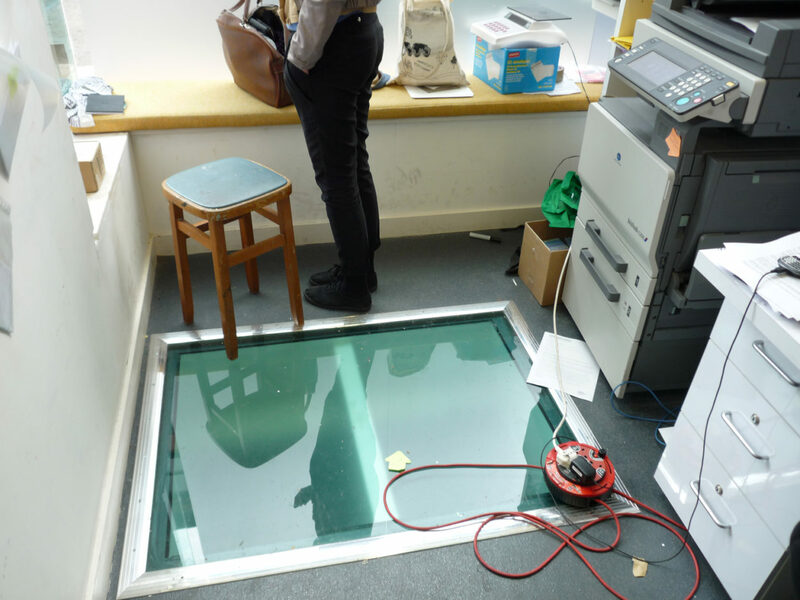 The Archive is located within the gallery basement and is fully accessible as part of the extended refurbishment works to Trongate 103 and is accessed directly from the Trasmission exhibition space. The Archive is a gem waiting to be discovered, rich and inviting; a place where one can feel instantly at home. As a starting point, it was considered vital to ensure that the room can be used for various functions simultaneously without one function undermining the other. To do this, it was decided to create 2 joined but separate halves, with one half dedicated to active archival functions, with the other reserved for more passive or social functions. 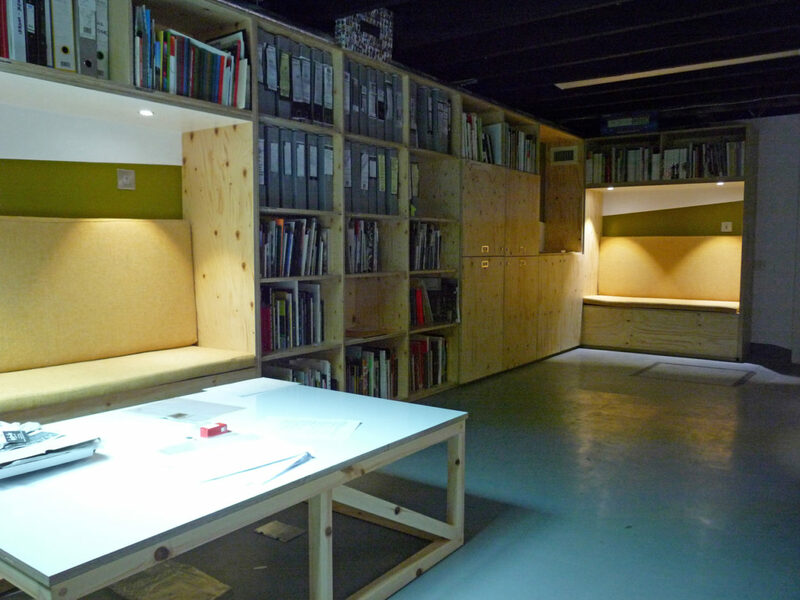 Active Space has been furnished with ample storage, extensive shelving, a plan chest, lightbox and 3 workstations constructed in extremely durable 18mm birch ply with laminate to both sides. It is intended that the familiar, clean and crisp surfaces will be easy to maintain. 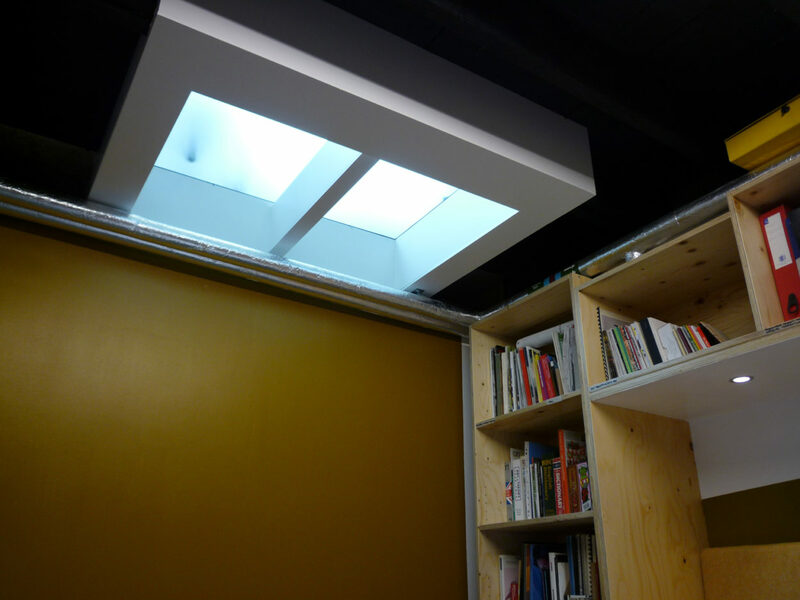 Passive Space has been designed to serve both as a Transmission Committee meeting room, where videos and slides can be viewed projected on the pull down screen, and a reading area where visitors and members can view journals and explore the Transmission collection of books. 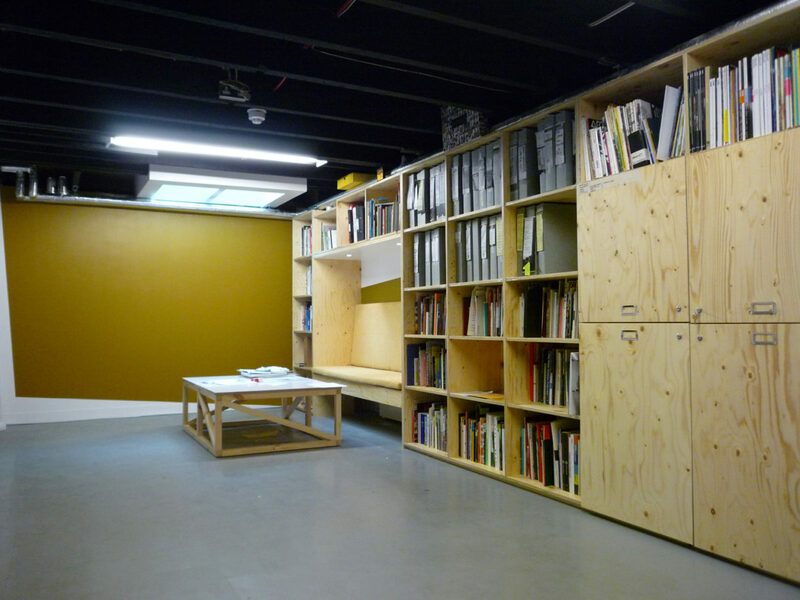 The room would also be ideal for presenting artists’ work to visiting curators/ journalists/ interested parties. The room has been fitted with 2 long, comfortable benches upholstered with foam cushions covered with high quality, durable fabric. 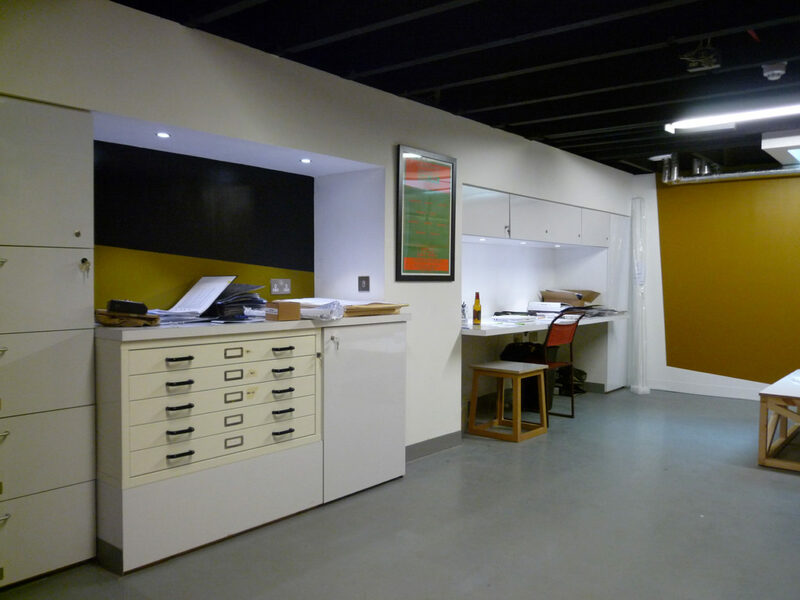 The office space is located at the rear of the ground floor gallery. The office has been designed to provide a practical and efficient working environment for the volunteer committee, while creating a good impression from Parnie Street when viewed through the high windows. The workstation continues the line of the kitchenette that will be provided as part of the Trongate 103 fitout. Shelving and secure storage is provided along with a desk to allow for 2 committee members to work simultaneously.